Furniture gleaming with the sheen of years would grace our bedroom; the rarest flowers, mingling their odours with vague whiffs of amber, the painted ceilings, the fathomless mirrors, the splendour of the East... all of that would speak, in secret, to our souls, in its gentle language. There, everything is order and beauty, luxury, calm and pleasure. 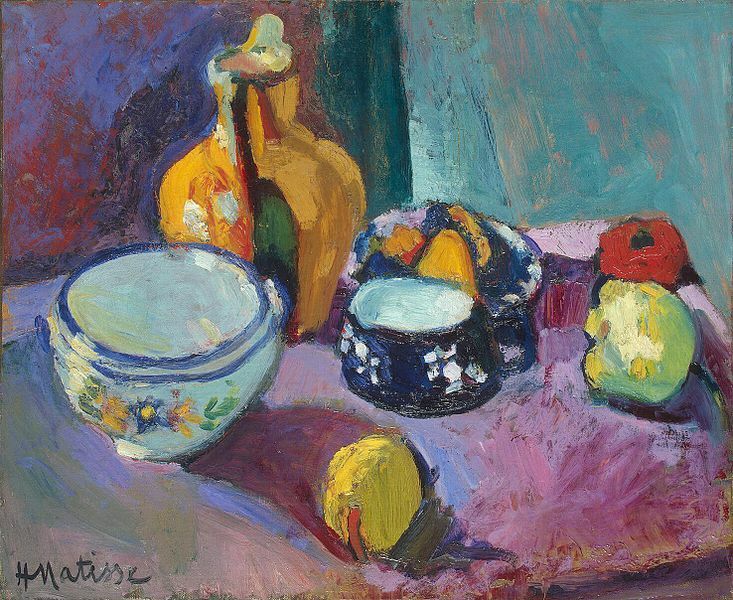 Matisse was an artist Epicurus would have admired. Matisse is an artist we all should admire. For while there is merit in engaging with the troubles and passions of one's times, that is not the only path of merit, whether in art, intellect, or emotion. There is much to be said for the calm, measured investigation of what is immutable and unvarying in the nature of things, if only because these are father and mother, in part, to our ephemera. It is not too much to say there may be lessons to be learned in how to conduct oneself from the way sunlight paints shadows on a tablecloth. Besides, Matisse could paint circles around Picasso six ways from Sunday.